What are the Pros and Cons of Banning Plastic Bags? There are two sides to every argument right? Yet when you stack the advantages of implementing a plastic bag ban against the disadvantages, one thing becomes clear – there really isn’t a good reason to oppose a ban of disposable plastic bags. The reality of plastic bags is that while they are in fact recyclable, only a small percentage finds their way into a recycling bin. Whereas using reusable bags made from polypropylene (pp) utilize post-industrial/pre-consumer recycled materials that get repeat use. But more on this later in our blog . Most plastic bags end up in landfills or as litter and no matter how you tabulate the numbers, plastic bags do not safely break down and it costs money to pick up litter. 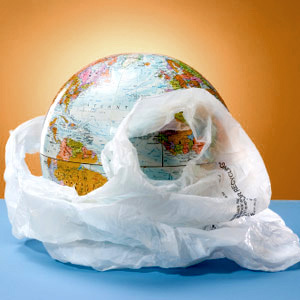 People and groups against banning plastic bags attempt to diminish the harmful and damaging realities of these facts. Most of the reasons bandied about by those who contest plastic bag bans are not so much reasons, as they are counterarguments against valid realities to implementing a ban. Plastic bags bans enhance the economy: Bans on plastic bags cause an uptick in business for reusable bag manufacturers and lead to increased employment opportunities. Eliminating plastic bags reduces cost of goods: Stores have to factor in the cost of disposable bags into their prices. By eliminating plastic bags, stores can lower prices, helping shoppers save $18 to $30 annually. Plastic bags are not biodegradable: When plastics bags become litter, they pollute oceans, rivers, farmlands, cities, and neighborhoods. Bans eliminate bags, which equals less litter and less pollution. Picking up litter costs tax money: Banning plastic bags will reduce litter and allow for tax money to be redirected to more important areas. Marine life will improve: Marine animals often mistake plastic bags as jellyfish or plankton, leading them to consume the litter and become ill or die. Drainage infrastructures run more efficiently: Plastic litter often clogs drainage systems, causing unnecessary flooding. Plastic bag bans reduce the need to petroleum: Banning plastic bags will minimize the dependency on the limited non-renewable resource. Decrease the mosquito population: Discarded plastic bags collect rainwater and creates a breeding ground for mosquitos, some of which could carry the West Nile Virus or Triple E Virus. Plastic bans manufacturers scale back: Bans often lead plastic bag manufacturers to scale back business and may lead to layoffs. Upfront cost to shoppers: Plastic bag bans will require shoppers having to purchase reusable bags, which can range from $1 and up. Find an embeddable Pro and Cons image below. Groups opposed to bag bans have argued that while litter does contribute to the death of thousands of marine animals each year, it is not fair to single out plastic bags as the cause. The “plastic bags aren’t only to blame” argument goes on to explain that lost or abandoned fishing gear is also responsible for the wrongful death of marine animals and a plastic bag ban does not address the entire problem. This “all or nothing” rational is not only weak, it is short sighted. Just because there is a wide variety of litter in our oceans does not mean we should sit by andnot attempt to begin to fix the plastic problem. Solving parts of a problem—with products like eco-friendly reusable bags—ultimately serves to contribute to a greater solution. Opposing groups have also claimed that cleaning up plastic bag litter is not that expensive and municipalities that claim a financial savings as a result of implementing a ban are not portraying the numbers accurately. To that we say that no matter how much money is spent cleaning up litter, it is too much. When money is directed to cleaning up litter, that means there is less money to fix infrastructure and build communities. Who Is Behind the Opposition to Plastic Bag Bans? It is also worth noting that those who oppose plastic bag bans are more often than, not employed by plastic bag manufacturers or lobbyist for the industry. Clearly plastic bag manufacturers want to stay in business and thwart efforts that would force them to change their business model to one that fits with a more sustainable ideology or go out of business. Want More of Both Sides Before You Get on Board to Ban the Bag? If youare still undecided as to whether or not bag bans are a good choice for communities, our country and our world, read the article Should Cities Ban Plastic Bags which our CEO, Jason Tunick, found intriguing and informative and wanted to share with our FDP community. The article outlines an argument for banning plastic bags by Daniella Dimitrova Russo, co-founder and executive director of the Plastic Pollution Coalition and is immediately followed by an argument against banning disposable plastic bags by Todd Myers, environmental director at the Washington Policy Center. We want to know which side of the plastic bag ban debate you fall on and why. Please let us know in the comments below or via social media! this helped me with my school work a lot. I shop in a different town now so I use more gas but its worth it. So lost business is also a con. Jake so you are saying that because you have to use a reusable bag, you choose to spend more money on gas to shop in another town in order to not have to buy reusable bags? Thank you Ms. Shirley. The information’s were very helpful. I did manage to use a lot as reference to my major project base on importance of banning plastic bags. Although this article is very informative, it leaves out some facts. Plastic bags are much more cost-effective to produce than the alternatives. Plastic bags manufacturing also has less water waste and much less deforestation. Furthermore, what would happen to all the people who make plastic bags if they are banned? The plastic bag industry bring sin 50 MILLION dollars. I do agree that we should at least implenment a tax on plastic bags, but before you rush to an opinion, look at both sides. If the banning of plastic bags was such a straightfoward and one-sided debate, then why hasn’t everyone already banned plastic bags? im doing something on why plastic shouldnt or should be banned for school. why do we still produce plastic bags if us people see what it does to animals or our planet? thank you for this info. im having great progress! im sharing this web site with all my friends! onvce again, thank you! keep on doin’ what your doing! if we ban plastic bags, then wont we increase our production on paper bags? if that happens we just end up dying of lack of air. how do you make a reusable bag? thank you. you know since you guys are so good at this website thing you guys could do more than just plastic bags. you could do stuff on all kinds of pollution. i think you could do it, but its only a suggestion. any ways, this is my favorite site EVER. if you guys added more stuff on pollution it could inform MORE people, and they would check this site every day. but either way, thank you again. this is the most help i have ever got. i love this site! keep on rocking! i cant tell, is that a question? heh heh heh. i have another question though. if plastic bags gets into oceans, cant paper bags do the same?? if i were a turtle i would think, ‘this is new! what does it taste like?’ the i eat it. i eat new things. like shrimp, or squid legs. what is keeping turtles from eating paper?! by the way, im sorry if im bugging you a lot. i hope humans turn down plastic. before its… too… late… dun dun DA!! i honestly really cant do anything. who listens to a kid?? i cant just walk up to a guy at the desk in target and say,” stop using bags youll die.” and walk away. i think ill go far in this world. . . Thank you very much this has helped me a lot and has increased my knowledge about banning plastic bags. hey, my brther is making a google slides. he asked for subjects, and i said pollution. then i remembered this website! my brother is going to do his research on this website!! by the way, i got above average on my research of plastic assignment!! hey, its me. my brother is doing a google slides, he asked me for a topic. i said pollution, hen it reminded my of this website. so here i am. by the way, i got above average on my plastic bag research study!!!! that was a yr ago but either way, thanks!!! cant believe i forgot ’bout this website. srry, didnt know it worked first time. question though, are paper bags just as dangerous as plastic? would it have same effects on body if you eat it, or since its natural, it would hurt any thing? thank you! i had no idea. but if you would take my question and replace paper bag with fabric, what would your answer be? the same or diff? Thanks for sharing this blog. According to my point of view, plastic bags are not only harmful but they are helpful for carrying heavy and sharp edge waste safely and easily.